If your future includes a move to Redlands, check out Meathead Movers! Our professionally trained student-athlete movers, moving concierge, and princess packers are prepared to get you safely moved into your new Redlands home. 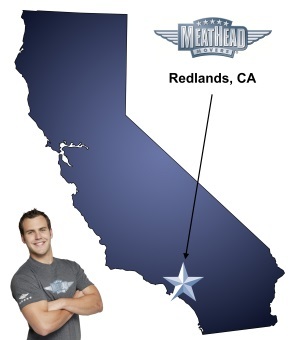 When you make your move to Redlands, be sure to contact Meathead Movers. No matter what type of moving service you need, our student-athlete movers are ready to handle all your moving needs. Located only 10 miles from downtown San Bernardino, Redlands offers an excellent nightlife, plenty of outdoor adventures, and a great school district. In fact, it has a few colleges right in town, giving your children a place to receive a higher education without leaving home. Moving to Redlands offers you plenty of opportunities and activities to do, such as taking part in the annual community Independence Day picnic at Sylvan Park. Let our Redlands movers make your move to the city as easy and hassle-free as possible. Redlands has a variety of shops and businesses around every corner. Check out Citrus Plaza, an open-air shopping mall with bookstores, bridal shops, shoe stores, restaurants, and more. For even more excitement, take a trip to Pharaoh’s Adventure Park, a 20-acre theme park with bumper cars, a go-cart racetrack, and miniature golf; it also has a water park and an amphitheater with live shows. If you enjoy biking, take part in the annual Redlands Bicycle Classic. No matter what you enjoy, our Redlands movers team wants to get you settled in so you can discover your city as soon as possible. The city is also home to 10 city-approved trails, perfect for both biking and hiking. Nature lovers will love to go bird-watching or hiking at the Bluffs Trail and Orange Blossom Trail. Residents can also enjoy a picnic or softball game at Texonia Park. From soccer fields to basketball courts, the city of Redlands offers a variety of fun activities for its residents. Let Meathead Movers offer you the best experience when moving to Redlands. From on-site moving and storage, to local or long-distance moving, we provide a full range of services to help you move to the city. We even offer our distinctive moving concierge service, which connects you with local service providers. Our student-athletes attend Meathead University and adhere to our drug-free, smoke-free way of life. We also have Princess Packers, a team of professionally trained college students who carefully wrap your belongings so that you don’t have to. Moving to Redlands? Here are some helpful resources. Professional and polite, excellent work. Everything, from beginning to end. Professionalism, efficient, respectful! All that I wanted from a moving company. Fast service, great workers!! !